GomSpace Group AB (”GomSpace” or the “Company”) and Sky and Space Global have recently conducted evaluation discussions regarding the provisioning and manufacturing by GomSpace of an additional constellation of smallsats for global services for Internet of Things (IoT) and Machine to Machine (M2M). The parties have also discussed changes to the original agreement and have now consented on the principle terms for the provision and manufacturing by GomSpace of an additional constellation of smallsats under a new agreement and the principle terms for replacement of the original agreement entered into in 2017 (as amended). A replacement of the original agreement is necessary for the continued cooperation under the original project. 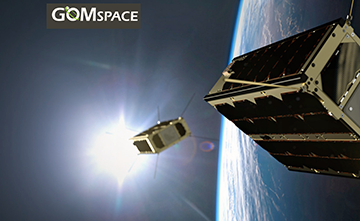 In 2017, GomSpace entered into a procurement agreement with Sky and Space Global regarding the development and qualification of a nanosatellite platform and the subsequent production and delivery of smallsats from GomSpace A/S to Sky and Space Global. In the same year, the parties entered into an addendum according to which the original order was increased to encompass additional development of the capabilities of the nanosatellites. Further, Sky and Space Global has an option (but no obligation) to order CSL Modem Implementation. The total contract value of the procurement agreement is approximately 64.5 million euros, excluding the option to add CSL Moden Implementation, which is worth an additional 1.4 million euros. As of this writing, a total of approximately 7.2 million euros has been paid under the original agreement (for the development of the platform until critical design review, progress on advance communication payload and purchase of long lead items). Provision and manufacturing by GomSpace of a new constellation of nanosatellites. Advance payments (EUR 550,000) and financial assurance for payments to be made by Sky and Space Global for GomSpace throughout the project.